Portugal’s aldeias hold much of its soul, tenuously at times, as the slow ebb of meaningful work drains them of their youth. On our road trips up and down the coast north of Lisboa, we’ve stopped in quite a few for a café or a petisco. 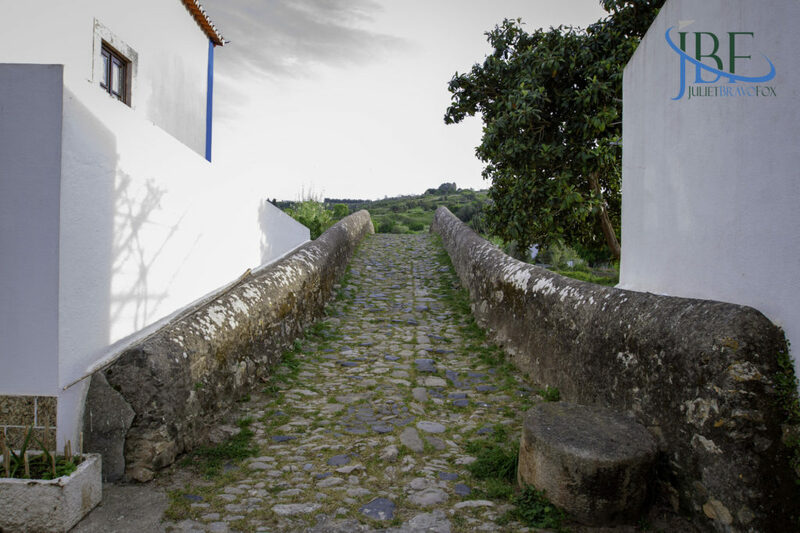 One of our well-trodden paths takes us up to Mafra along the back roads that wind over the hills and through lush valleys—one in particular lined with ragged hothouses and tangles of old vines. We’ve let the dogs out along the creek that runs through, but we’ve always taken the same road up and out of the valley—at the crossroads after the bridge, we’d turned left, never right. This is how towns lose their valuable custom, because of quirks in our GPS navigation or other drivers. 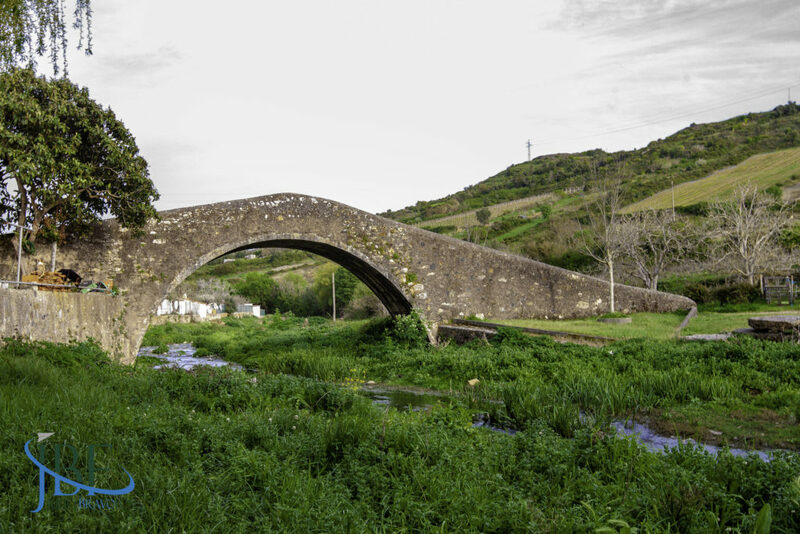 Without knowing it, we’d passed by Cheleiros, a charming village on that same river, with a pair of picturesque bridges—one from Roman times–and the home of ManzWine. André Manz, a football player from Brasil who came to Portugal in 1989, saw an opportunity to change the direction of this aldeia, after injury capped his career. 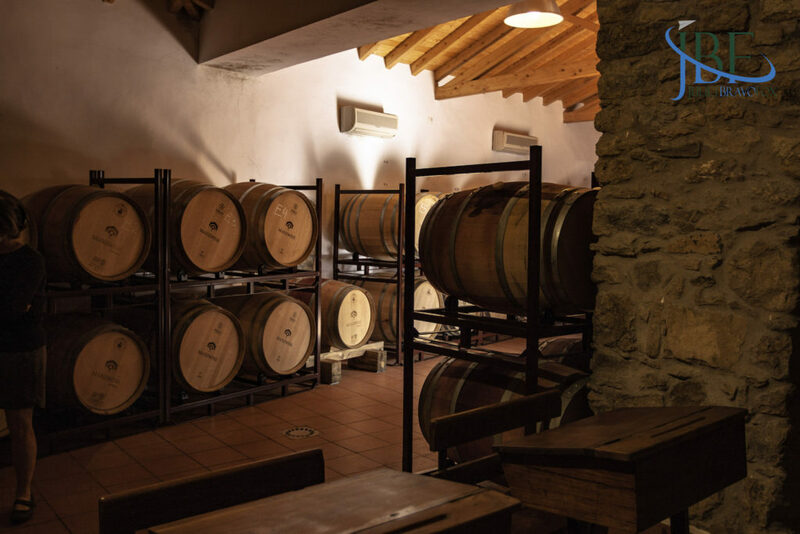 He’d established a succesful business in health and fitness but saw more opportunity in wine—and in rennovating a town to support the growing enotourism in Portugal. So we turned right. And just around the corner, we found a little corner of the Lisboa VR well worth getting to know. The Manz family moved to Cheleiros in 2004, and quickly fell for its quiet beauty. The land lies within 12 kilometers of the Atlantic, yet most of the vineyards shelter below the hills. The balance of humidity with the ocean’s breezes make the case for coastal wines of fine style—if properly crafted. 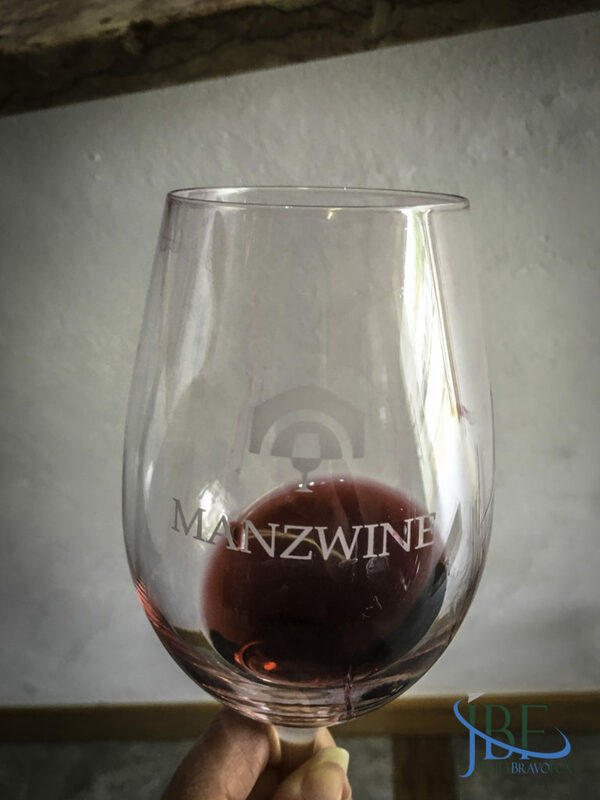 Manz began with the vines he’d purchased to make wine for his own consumption—but among the red Castelão grapes he found a treasure: about 200 vines of a white variety almost forgotten, Jampal. In large-scale production, Jampal loses character, but when handled with care, it can be fine-tuned into a gem. 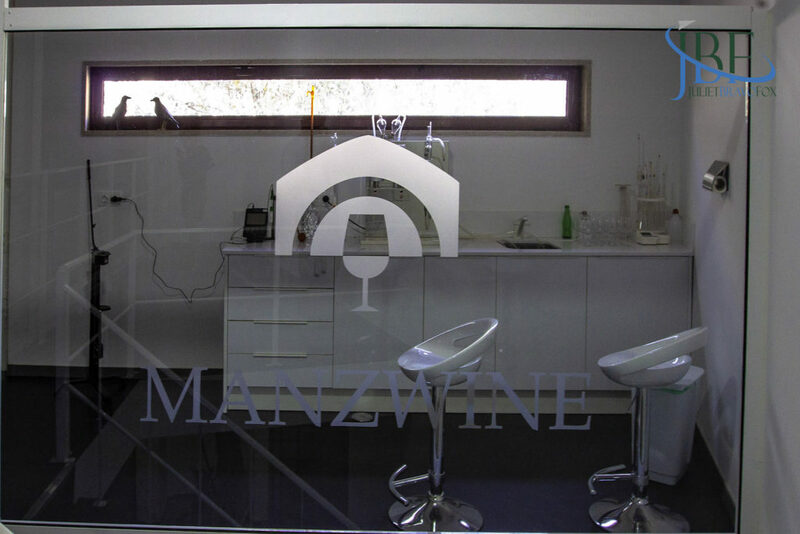 ManzWine produced 200 or 300 bottles in the first year, and hired consultants with expertise in setting up a winery as they gained practice. 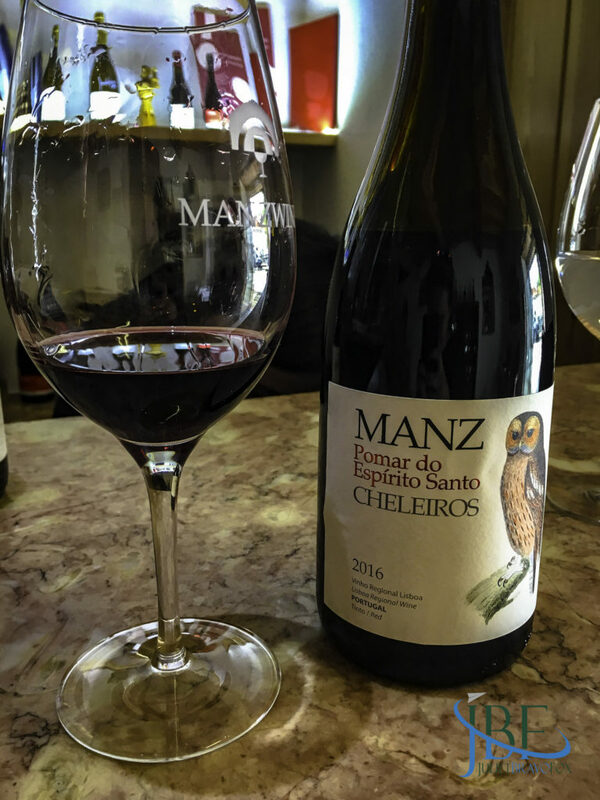 Manz formed partnerships with producers in Douro and Setúbal to buy grapes and gain proficiency, and now the winery fitted with a full range of new equipment and tanks in the heart of Cheleiros is set to vinify the local grapes. The goal is not to make a lot of wine, but to make excellent wine. The company currently produces around 200,000 bottles each year. 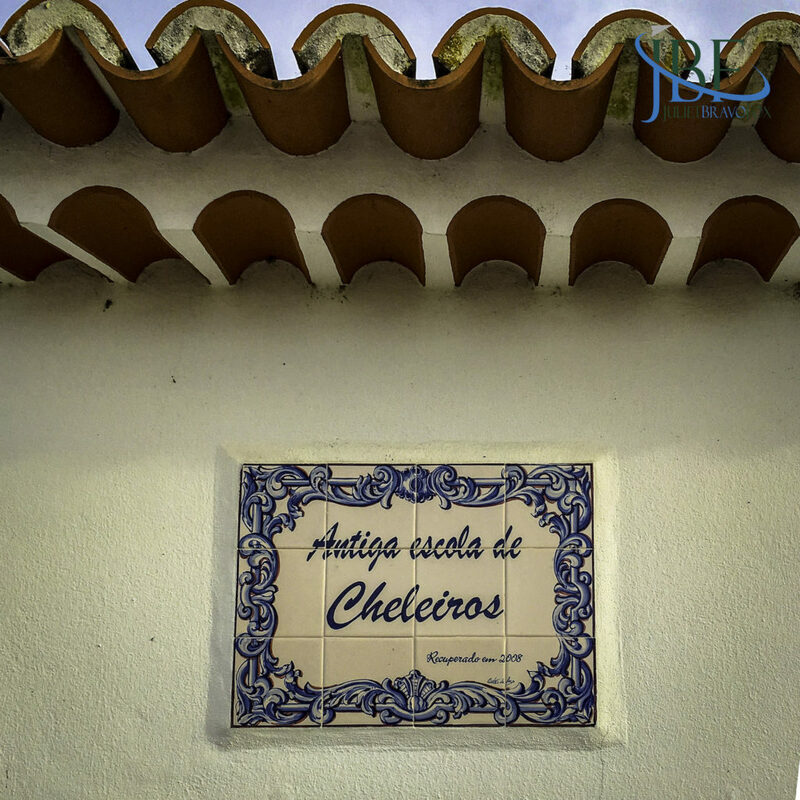 But more so than that, the modern winemaking facility that blends into the traditional buildings in the village serves as a catalyst for restoring other historical parts of Cheleiros. Around the Largo da Praça, today’s visitor finds the Antigua Escola Primária (Old Primary School) and the Lugar do Vinho, where the Jampal grape was once vinified. As part of the tour given to enotourists, the buildings make understanding the town’s part in history more immediate. A museum above the winery’s loja also helps one to appreciate the terroir, with a detailed diorama of the valley and its main vineyards. 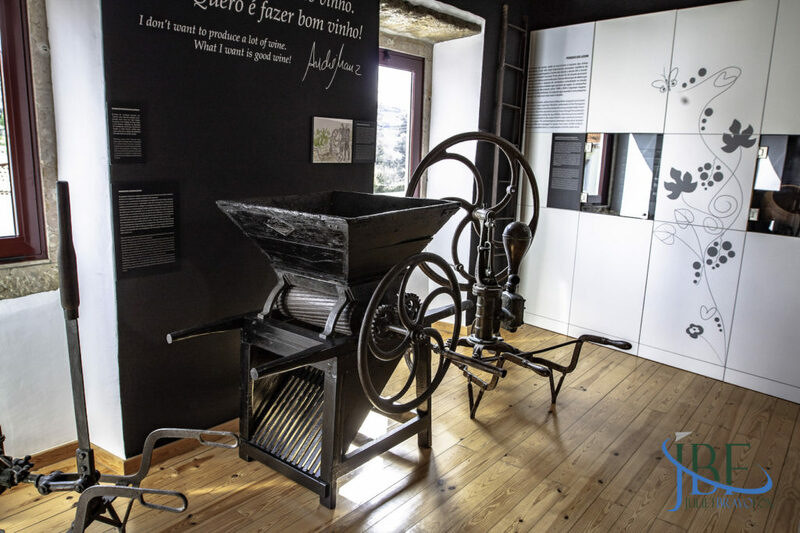 A collection of found objects there lends a sense of the daily life of the village through the last century. 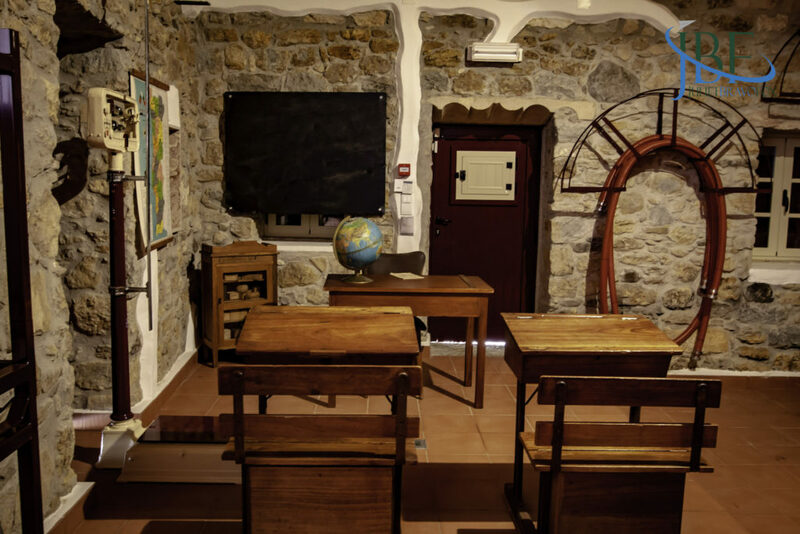 Today, the Antigua Escola Primária holds not only a few desks and a chalkboard, but also the barriques that age the Jampal and tinto reservas. 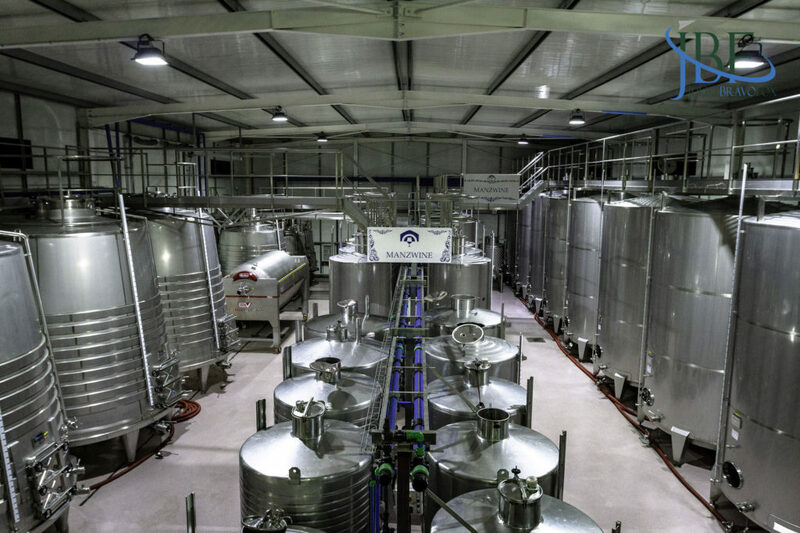 The reds (of Castelão, Aragonez, and Touriga Nacional) ferment in conical tanks in the main winery before pressing by the pneumatic press and then into the stainless steel tanks for two months. The conical tanks add body to the region’s red grapes, which tend toward lightness and acidity—the shape of the tanks provide a greater surface area for the solids near the bottom of the tank. 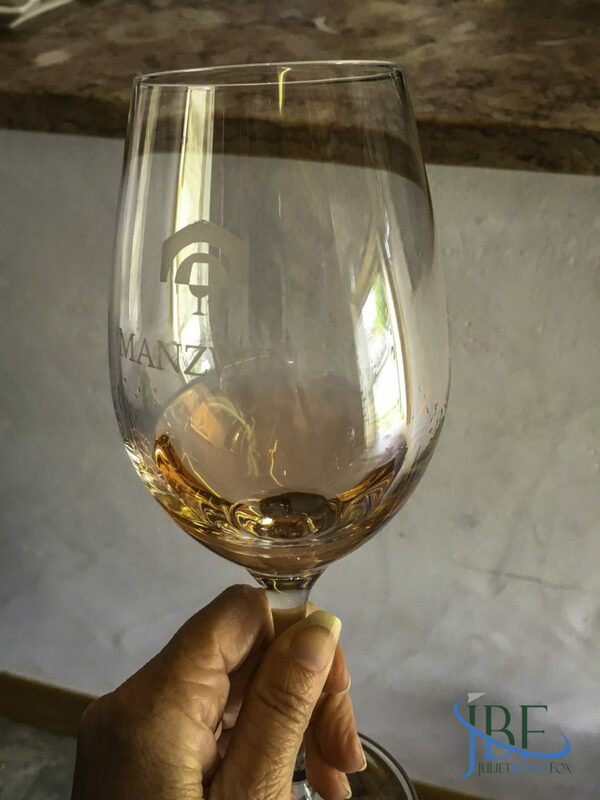 ManzWine makes a rosé of Castelão grapes that are pressed first before fermenting, using only the juice after the press. 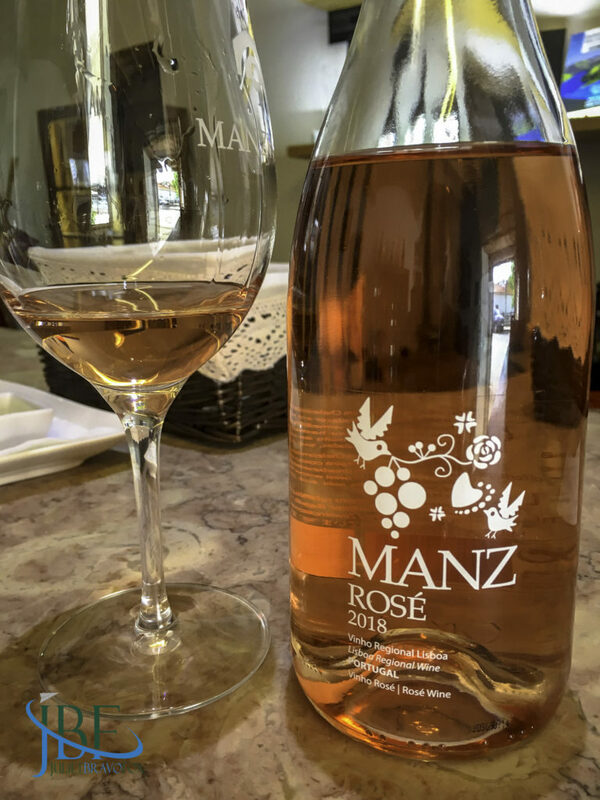 While earlier vintages of the rosé showed a darker color typical of the grape, current vintages aim to achieve a more Provençal style that tends toward a pale blush. Manz also plans a white blend this year, of Arinto and Fernão Pires. 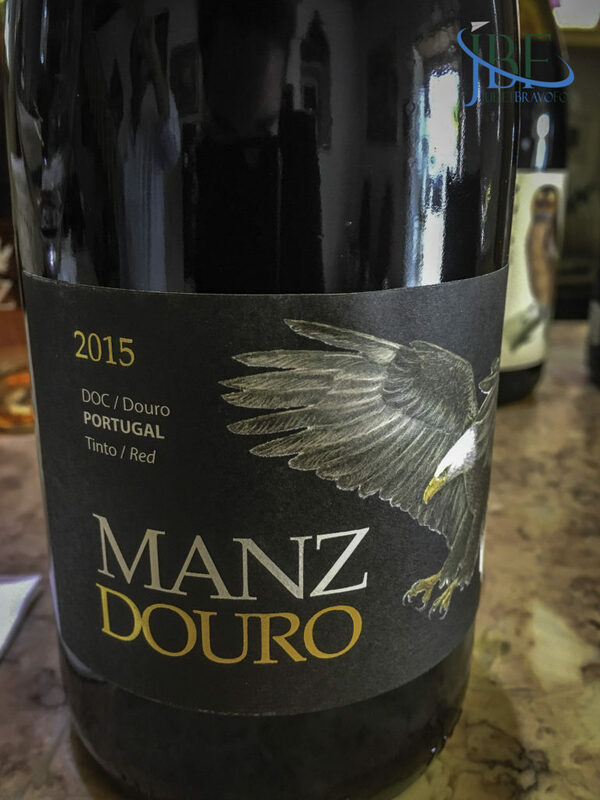 Of the range of wines we tasted, I found the Jampal most intriguing—ManzWine is the only official procuder of the variety in Portugal, so the unique opportunity excited us. The reward? 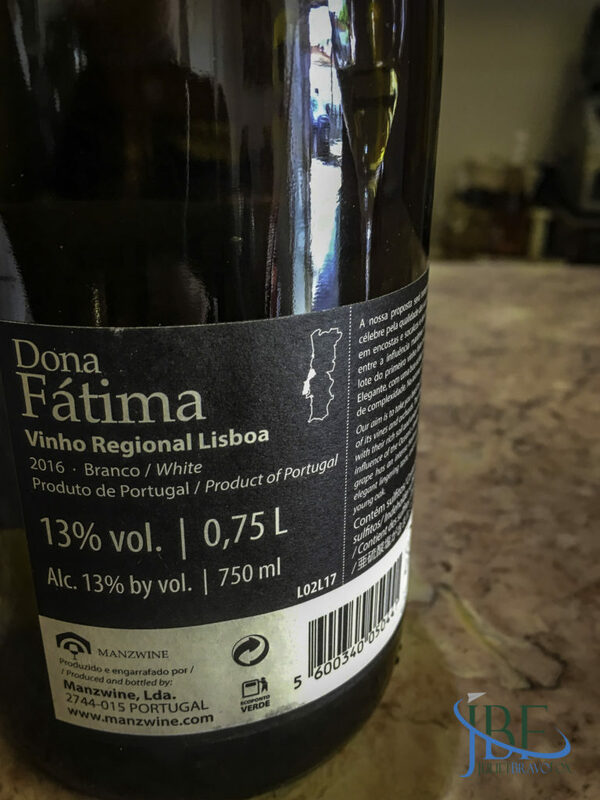 The complexity of the finished wine, named Dona Fátima in honor of its patron. 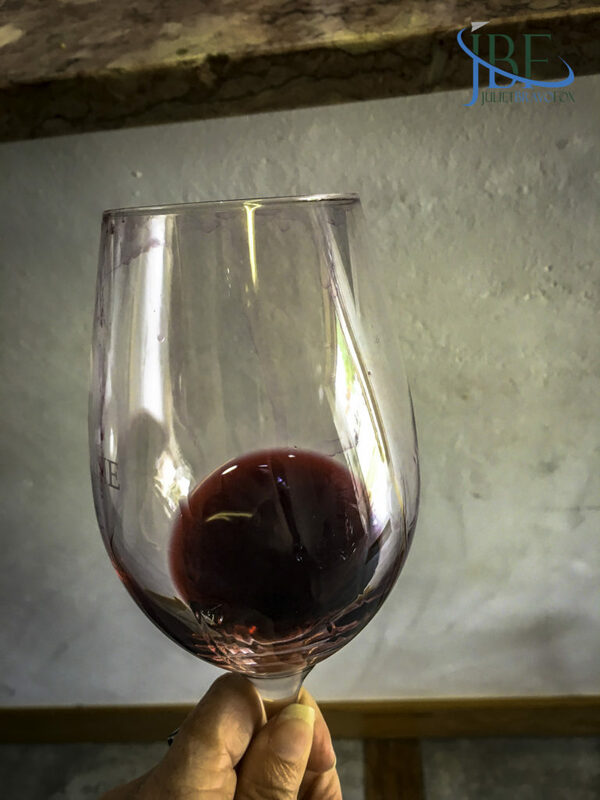 The reds from Setúbal and Douro showed off different expressions of the Touriga Nacional grape, as blended with Syrah and Petit Verdot in Setúbal, and Tinta Roriz in Douro. The unoaked Douro red we found particularly fresh. 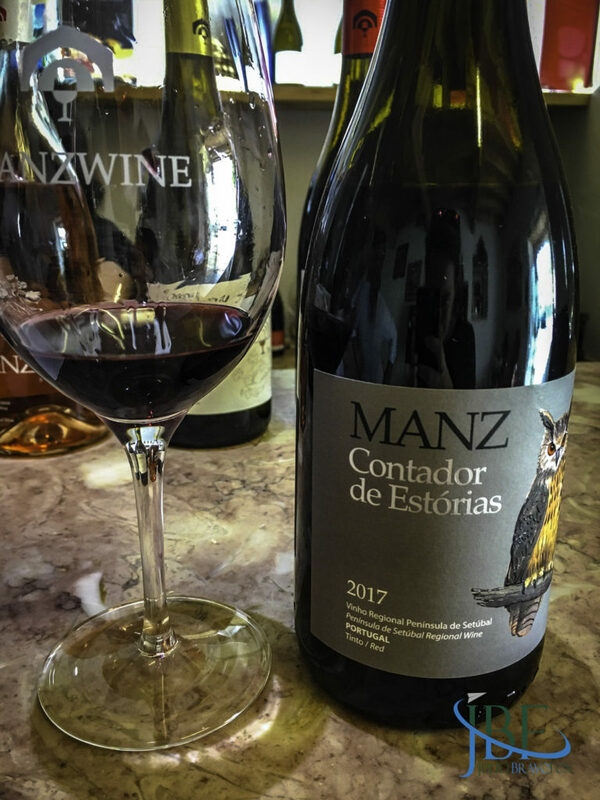 The reserve Manz tinto features a compelling portrait of an animal—the 2016 version with a bobcat flashing fierce green eyes. A proud wine, to be certain. 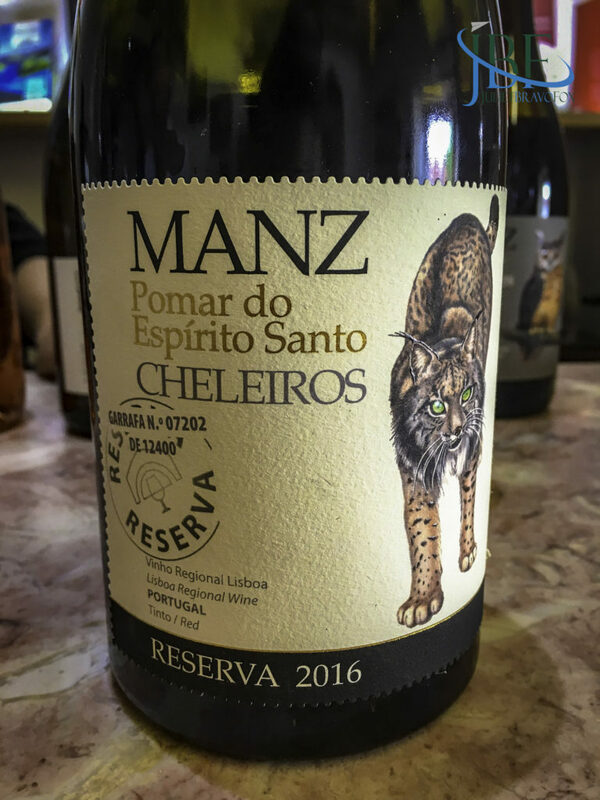 Now that we know what we’ll find when we turn right, we plan to return to revisit the Manz wines, and the comfortable setting of Cheleiros as it carries on, full of life—so very satisfying to experience. From Castelão grapes. First ones picked, the Castelão grapes ripen quickly. Strawberry and white flowers on the nose with tastes of fresh strawberries. 13% abv. From Jampal grapes. Honeysuckle, jasmine flowers with a touch of spice aromas. 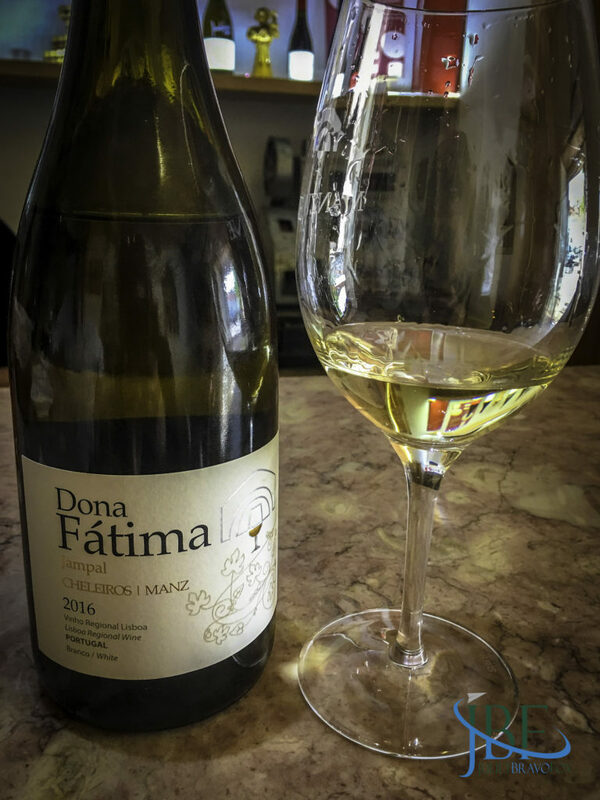 Citrus, custard apple, and cream flavors, with a brisk acidity. 13% abv. From Touriga Nacional, Castelão, and Aragonez grapes. Touch of leather, blackberries on the nose with moderate acidity and tannins. More black currants, berries on the palate, with a freshness—a green pepper aroma comes out as well. 14% abv. From Touriga Nacional, Syrah, and Petit Verdot grapes. Dark morello cherries, roses, then beef jerky aromas. 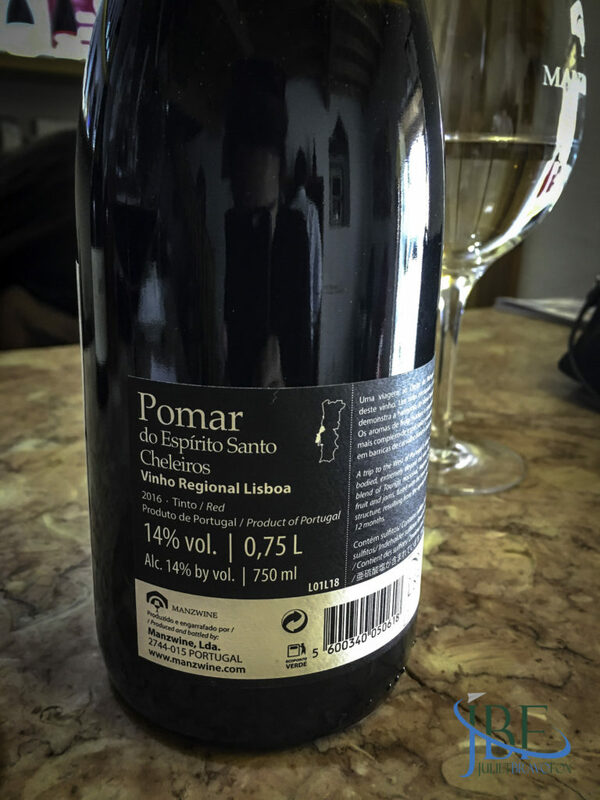 Softer middle and finish than the Pomar do Espirito Santo. Cherries on the palate, with some game. 14,5% abv. From Touriga Nacional and Tinta Roriz grapes. Unoaked to “shut up the people who say you have to use oak.” A bit obscure in clarity. Violets, cherries on the nose, with fresh cherries on the palate. 14% abv. 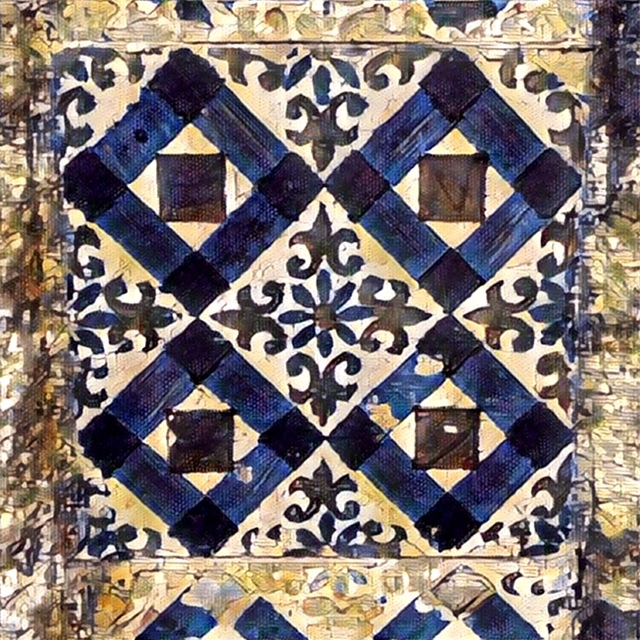 From Touriga Nacional, Aragonez, and Castelão grapes. Two years in barrel. Violet color; built for aging. Forward oak, dark berry aromas, a bit of garrigue and fennel. Balanced wavelength, with a soft finish. Light to moderate tannins. 14,5% abv.